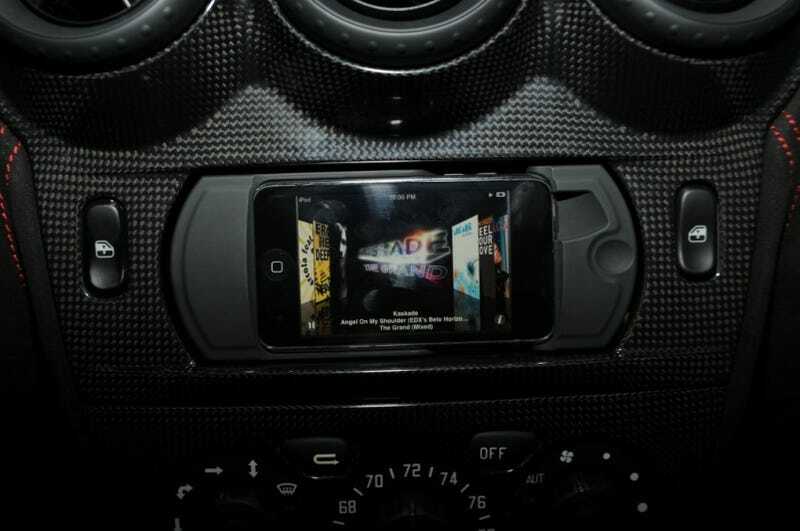 Ferrari's limited-edition 510-horsepower 16M convertible comes packaged with a limited-edition iPod touch of its own. The touch is loaded with Ferrari-related videos and music as well as, bizarrely, Ferrari engine noises. Extra note: Al & Ed's have been doing these custom installations for a few years now, and note that it's strange that Ferrari doesn't support an iPhone instead. That way you can have a GPS actually in your dash. They also claim that the price is $325k, not $225k.